What’s the deal with vape oil additives? Nearly every vape pen you can buy will have some sort of “additive” added to it. These are solutions like vegetable glycerin (VG), propylene glycol (PG), and polyethylene glycol 400 (PEG 400) that are meant to dilute the CBD or full spectrum oil in the vape pen. Why do manufacturers and brands dilute the oil? Usually it’s to bring the THC level below 0.3% and/or to make the oil burn easier against the heating source. You can image if you tried to burn a viscous solution like honey. It would not bode well for the heating source. A study that came out in early 2015 from the New England Journal (NEJM) evaluated what happens when these different additives were heated at different voltages (3.3 V and 5.0 V). 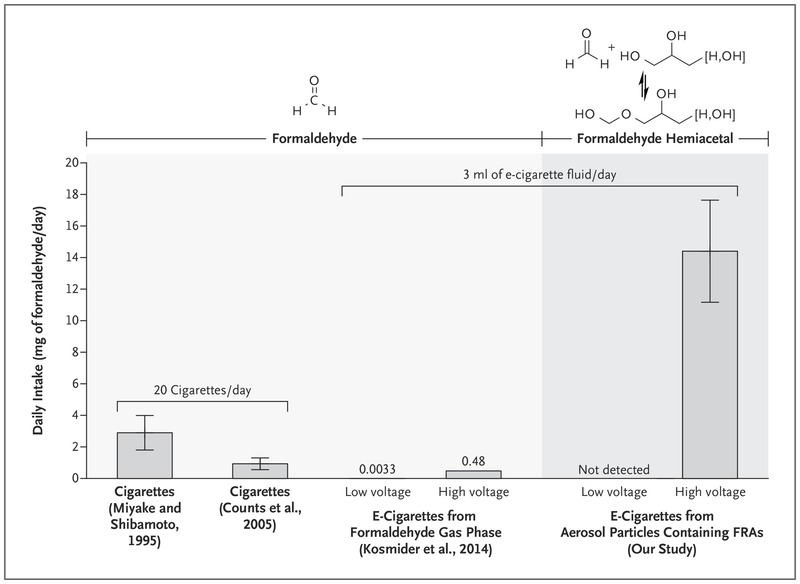 In summary (please consider reading the study for the full story), they found that when they heated these additive solutions at 5 V (a high voltage), formaldehyde was produced. However, when they heated the additives at 3.3 V (a relatively normal voltage), no formaldehyde (0) was produced. Unfortunately, this study has caused considerable confusion and as a result, a variety of new dilution and flavor oils have begun to be used in vape pen solutions. However, none of these new dilution and flavor oils have been studied to the degree that PG has undergone, and therefore aren’t necessarily proven to be “safe” either. At Halso, we’ve taken an active approach to the way we source vape products and have partnered with the Stanley Brothers (creators of the famous Charlotte’s Web) to host their vape pens, which have a maximum output of 3.7 volts and are incapable of reaching 5 volts. Additionally, they test all of the ingredients in their vape solution to ensure it is completely free of pesticides, herbicides, fungicides, residual solvents, heavy metals, aflatoxins, and other potentially harmful additives like polyethylene glycol, diacetyl, acetoin, or acetyl propionyl. You can read more about the Stanley Brothers commitment to quality ingredients, safety, health, and science here. This is one extra step demonstrating the extra care and diligence we take here at Halso to source and host only the best CBD products.